Management Board - Getin Holding S.A.
Mr. Piotr Kaczmarek graduated from the University of Wrocław, where he completed law studies at the Law and Administration Faculty. Having completed his apprenticeship in 1993 - 1996 at the District Board of Legal Advisors he became a legal advisor. . In 1993 - 2005, employed with European Lease Fund S.A [EFL S.A] as: Head of Legal Department from 1993, Member of the Management Board from 1995, Deputy President of the Management Board from 1998 to 2002, President of the Management Board from 2002 to 2005. 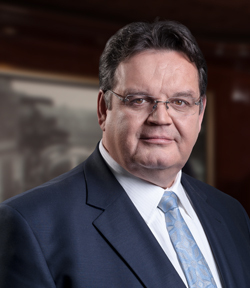 In 2002 – 2008 Piotr Kaczmarek worked for Credit Agricole, from 2001 controlled by EFL S.A., as: President of the Management Board of European Lease Fund S.A. in years 2002-2005, Senior Project Manager in charge of the Eastern Europe projects in 2005-2006. In 2006 – 2008 he was Deputy President of the Management Board in charge of retail banking at Credit Agricole Bank Ukraine, Kiev. In 2008 - 2014 he worked for Alfa Bank Group as Board Member in charge of retail banking at Alfa Bank Ukraine, Kiev. Member of Supervisory Board at LUKAS Bank SA [Credit Agricole Group] in 2003-2006 and 2007-2008. PSA Idea Bank S.A. Ukraine in Lviv (Chairman). Carcade OOO in Kaliningrad, Russia. 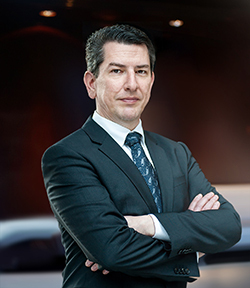 Mr. Krzysztof Jarosław Bielecki has worked as a senior manager for over 20-years in both Polish and international financial companies enjoying successes in strategic management in holding and matrix structures in commercial banking. He graduated from the Wrocław University of Technology as Master of Science in Mechanical Engineering, Power Engineer. He continued his education at the Foreign Trade Postgraduate Studies at the Wrocław University of Economics. He is a graduate of the Rotterdam School of Management MBE programme at the Erasmus University in Rotterdam. From 1992 to 1997 engaged in building of Dolnośląski Dom Maklerski, the first private brokerage house in Poland, as its co-founder and president. In 1997 – 2012 employed with ING Group as Managing Director and Member of Management Board of ING Leasing&Factoring ING Commercial Bank, Amsterdam, Holland, Member of Board of Directors of ING Group Top 200, Chairman and Member of Supervisory Boards of subsidiaries operating in Great Britain, Belgium, Luxemburg, Holland, Germany, Spain, France, Poland, Russia, Ukraine, the Czech Republic, Hungary, Italy, Romania, and Turkey. From 2012 to 2015, ran his own company providing advisory services for investment projects management and financing. From May 2015 to January 2017, Vice-President of the Management Board of Termoden sp. z o.o. 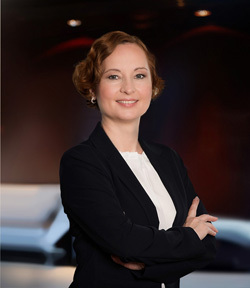 Since January 2017, Deputy President of Management Board of Getin Holding S.A.
Izabela Lubczyńska is a graduate of the University of Wrocław and the University of Economics in Wrocław (Faculty of Management, Informatics and Finance). In 2009, she graduated in the Executive MBA Programme at the University of Economic in Wrocław, and in 2013, completed the Doctoral Programme at the Faculty of Management, Informatics and Finance at the University of Economics in Wrocław. She has been professionally connected with Getin Holding SA since 2003, where she held, among others, the position of Internal Audit Management Manager, and recently – Managing Director of Internal Audit and Monitoring of the Capital Group. 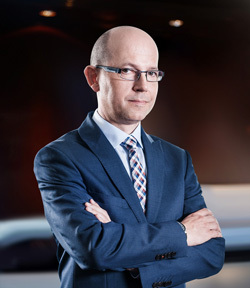 Krzysztof Florczak has broad experience in finance management and process optimisation gained in companies operating both in Poland and overseas (specifically in EE). He studied Accounting at the Queens College City University of New York, USA, and completed several training programmes, including CSC Project Management, US GAAP course organised by E&Y, balance sheet analysis, risk management, assets and liabilities management courses organised by Raiffeisen Zentralbank International. In Getin Holding S.A. Krzysztof Florczak is responsible for growth of companies operating in Russian Federation and Belarus, while being CRO at the holding level. In March 2015, he was appointed President of Board of Directors at OOO Carcade based in Kaliningrad, and in July 2013 - President of Supervisory Board at Idea Bank based in Minsk. Earlier, he held, among others, such positions as: General Director at OOO Carcade, Vice President and Financial Director at Getin International S.A., Member of Board of Directors and CFO at Bioeton Kyritz GmbH, General Director at Ukrainian Leasing Fund Ltd., Member of Management Board at GMAC Bank Polska S.A., and Financial Director at Raiffeisen Bank Polska S.A.